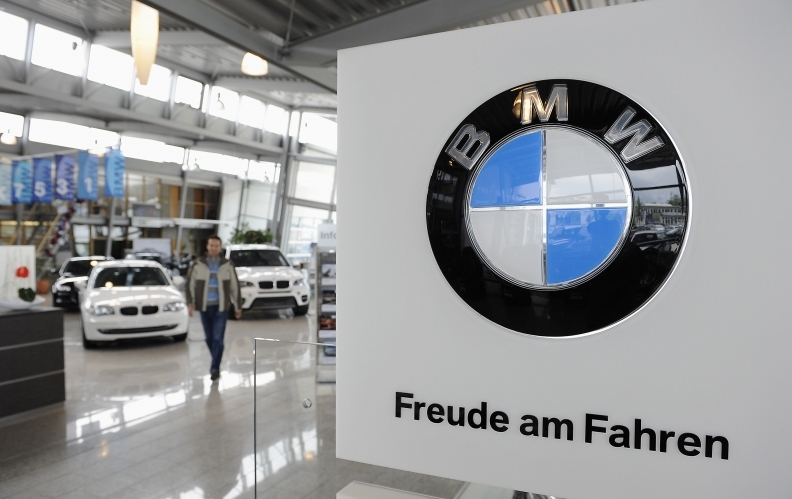 BMW bucked the trend; group sales rose 13 percent in April. As most European government incentives for car buyers dried up, so did April sales after 10 months of gains. Sales in 28 European markets fell 7 percent to 1.17 million passenger vehicles, the first monthly decline since May 2009. The losses were focused on Germany, off 32 percent from last April, and Italy, down 16 percent. Government programs aimed at softening automotive slumps are over in both. In France, where a similar program is phasing out, sales rose 2 percent. The industry has been anticipating a decline for the rest of the year once the incentive programs ended. But the overall economic situation also remains challenging, said ACEA, the European auto manufacturers association. The European Union has been debating how to guarantee the shaky long-term debt of member state Greece without sparking a recession throughout the EU. A regional agreement was reached this month, but the uncertainty has been hampering European consumer confidence. Among the major auto groups, April's biggest loser was Fiat. A sharp 27 percent plunge for the Italian carmaker pushed its four-month sales total into negative territory after a good first quarter. In April, General Motors Co. and Toyota Motor Corp. were both down 19 percent. Volkswagen AG and Ford Motor Co. also declined, but closer to the industry average. Both French auto groups gained ground: Renault was up 9 percent and PSA/Peugeot-Citroen 2 percent. BMW Group rose 13 percent in April, driven more by its luxury BMW division than a 2 percent increase at Mini. Rival Daimler AG posted a 1 percent overall increase despite a 9 percent fall in Smart volume. Among the smaller players in Europe, the biggest winner in April was Nissan with a 40 percent gain to 32,478 vehicles. Sister Korean brands Hyundai and Kia had another solid month. Hyundai was up 6 percent and Kia 10 percent. Through the first four months, Kia has moved up three places to No. 12, passing slumping Suzuki, Honda and Mazda. Because Hyundai owns less than 50 percent of Kia, their sales are not consolidated. But Hyundai and Kia combined are at 221,172 sales this year, within 2,000 units of No. 8 Toyota and ahead of Daimler.